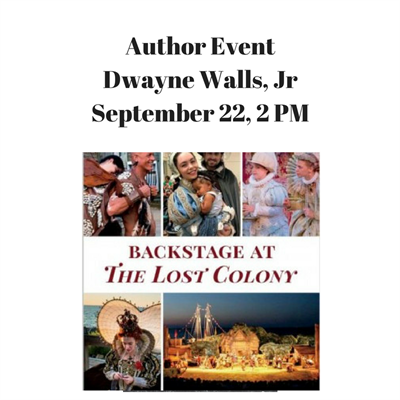 Join Page 158 Books in welcoming Dwayne Walls Jr for a discussion of his new book Backstage at The Lost Colony, a look at the outdoor theater production The Lost Colony. To research the book, Walls followed the cast and crew through the 80th anniversary season last summer. He observed rehearsals, interviewed cast and crew members and spent time backstage. The book incorporates interviews he conducted with key production staff members and alumni from years past, and it touches on the show’s founding and certain milestones. The author’s observations are supplemented by first-person stories from The Lost Colony alumni and more than 100 photos by contributing photographers.